Enjoy these videos, podcasts, and articles about Brian and his work. Check back with us from time to time for additional peeks into Kershisnik Studios. Brian’s recent interview with Terryl Givens of Faith Matters was entitled “Surprising Angels”. This program, from BYU's Maxwell Institute, is available in several formats, as shown below. The interview was recorded on September 27, 2018. 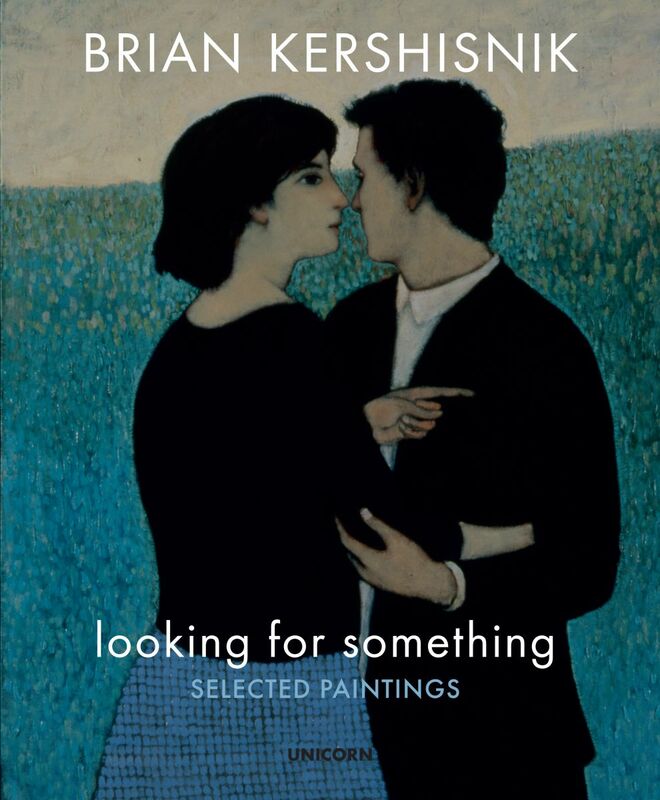 Book Release of "Looking for Something"
We are pleased to announce the publication of a new retrospective of Brian's work by Unicorn Publishing. From the recent press release, Unicorn stated "His figurative work explores a bewilderment of life with a mixture of melancholy and play that feels deeply and encouragingly human. Looking for Something will include more than 200 color images of Kershisnik's most popular paintings as well as text that puts his work into the larger context of his age." The book will be available in October 2018. To read the full press release, click here. A recent article in 15 bytes by Shawn Rossiter offers a review of Brian’s recent show Le Péché du Magicien, new works by Brian Kershisnik, at the Meyer Gallery in Park City. To read the full article, click here. 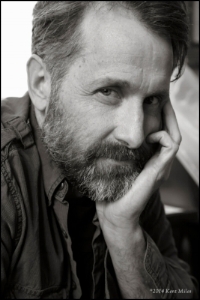 A casual conversation with Steve Olpin, filmmaker and producer of the series The Talking Fly. This advice is meant for anyone working or playing in creative fields. A time lapse segment that offers a glimpse into the process behind Brian Kershisnik's 2012 piece, 'Descent from the Cross'. Captured by Ethan Vincent of Exile Productions. "Joe and Brian" is a short documentary about the ongoing art collaboration between Joseph Adams and artist Brian Kershisnik, shot in Brian's studio in the small Utah town of Kanosh. A short documentary about the collaboration of artist Brian Kershisnik and his friend Joe Adams. Made for New Vision Art, this short documentary gives you a peek into artist Brian's studio. This Everything Creative interview features Cassandra Barney in the first half, and Brian about 30 minutes in. Enjoy! Yep, that's Brian singing. To hear Tiny Bicycle Parade's entire album, click here. To learn more about Brian and Steve's band, click here.